While customer experience has been widely acknowledged as a competitive differentiator, experts agree that many disparities exist between what companies believe they are doing for their customers and what customers actually go through when they interact with them. Robbins surveyed 576 high-ranking managers at 500 financial, healthcare, education, and telecommunications service providers to find out what they thought their customers expected from them. Robbins compared his findings with results from another poll, this one conducted by Harris Interactive on behalf of inContact, in which 2,028 customers of these 500 companies related what they expected from their online and phone-based purchase and service experiences during the busiest shopping months of the year (from August to January). The findings supported the original theory that customers and companies are operating under two very different sets of assumptions when it comes to customer service expectations. 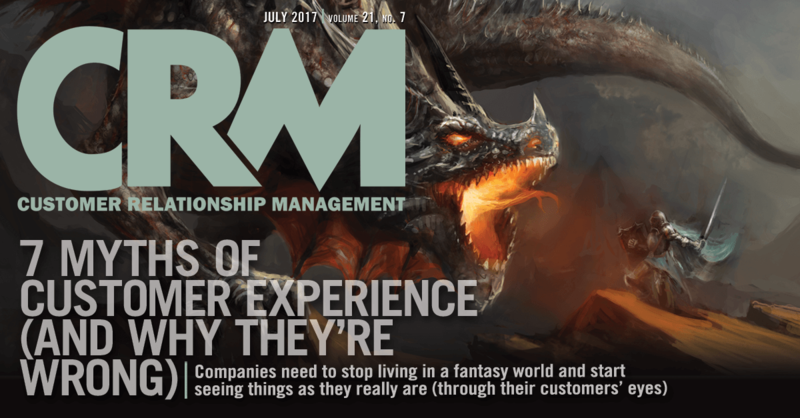 It’s important that companies address these gaps, which are tied to seven primary customer service myths. The dangers of doing nothing, experts agree, can be great, given the number of companies that make decisions based on what they think customers expect from them. MYTH NO. 1: A COMPANY’S FOCUS ON OUTSTANDING SERVICE IS EVIDENT TO ITS CUSTOMERS. In reality, 80 percent of the customers said they believe organizations put more effort into selling to them than providing them with excellent customer service. When surveyed separately, only 12 percent of contact center leaders acknowledged this. “Clearly we don’t have an understanding of what the customer experience is,” Robbins said at the conference. Because professionals can get so caught up in the inner workings of their organizations—the processes that are used, the systems that are in place, and the decisions that are made—it’s easy to forget what it’s like to be a customer.